Emmerson Mnangagwa is the legitimate president-elect of Zimbabwe, the country’s Constitutional Court ruled on Friday, dismissing the main opposition party’s challenge that the July election was rigged. An army crackdown in response to post-election violence by opposition supporters left six people dead on August 1, recalling the heavy-handed security tactics that marked the 37-year rule of Robert Mugabe, who was removed in a coup last November. Chamisa’s lawyers accused the Zimbabwe Electoral Commission (ZEC) of inflating Mnangagwa’s vote tally by 69,000 to avoid a runoff, and that the ZEC’s revision of the results was sufficient evidence that fraud occurred. However, the court ruled that they presented no proof of irregularities. 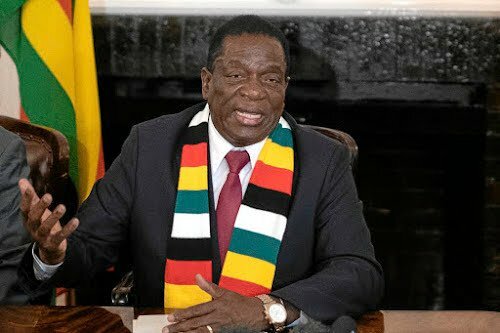 Mnangagwa, who will most likely be inaugurated on Sunday, faces the challenge of persuading the international community that the army crackdown and lapses in the election process will not derail his promise of political and economic reforms needed to fix the economy. ← KENYAN MP (EMBAKASI NORTH) HON. GAKUYA ARRESTED FOR STEALING KSH. 40 MILLION CDF CASH!